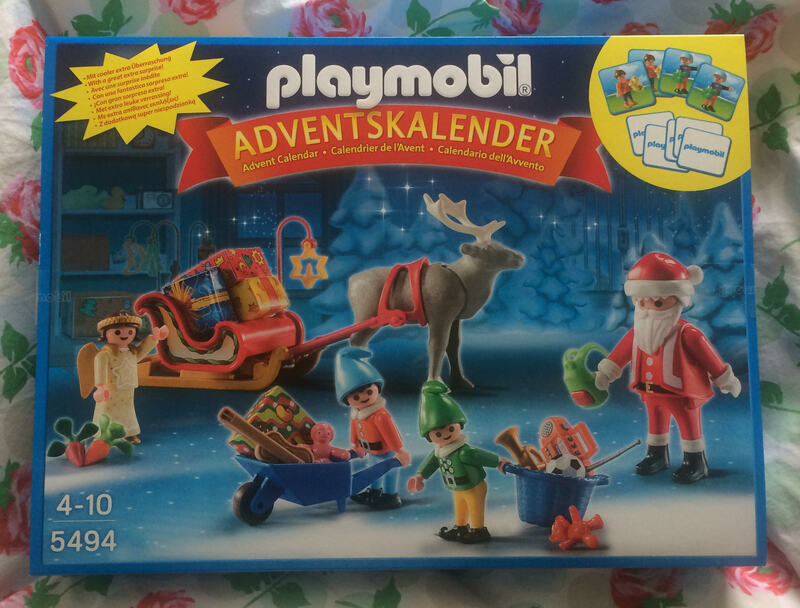 This year Playmobil have released 5 Playmobil Advent calendars – Santa’s Workshop, Unicorn Fairyland, Police, Pony Farm and Dragon’s Treasure Battle. You may remember we were fortunate to be sent the Pirates Treasure Cove calendar last year as part of our role as Playmobil Playologists. I was pretty excited to receive the Santa’s Workshop Advent Calendar as I’m a real traditionalist and love the look of this. The Pirate advent calendar was great and fun to open but had nothing to do with Christmas, this is perfect! Santa’s Workshop is designed for ages 4-10 and priced £18.99 which seems reasonable for this kind of set. Help Santa assemble all the Christmas gifts as he makes his list and checks it twice! The Advent Calendar “Santa’s Workshop” contains twenty-four surprise items for each day of Advent to form a gift that will keep on giving long after the holidays have passed. Set includes Santa figure, two elves and one angel figure, reindeer with sleigh, gifts, assorted toys, wheelbarrow, basket, and additional accessories to build a complete Santa’s Workshop. Once all the pieces are revealed, experience even more fun with the bonus Playmobil memory game. Although I was tempted I’ve put this away until December 1st. Make sure you’re following me on Instagram as I’m going to try and Instagram what’s behind each door as we open it. If you’re looking for a more unusual gift for a Playmobil fan then how about a Playmohair? Collaborating with top London knitwear label, Electronic Sheep, Playmobil have created a ‘PLAYMOhair’ woolly hat! The iconic Playmobil hairstyle has been recreated as a beanie for adults and kids across four colours (strawberry blonde, blonde, black and grey). 40 of each colour option have been made to celebrate Playmobil’s 40th anniversary year. More information can be found on the Playmobil website. This sounds fantastic, I would have loved that when I was a kid!